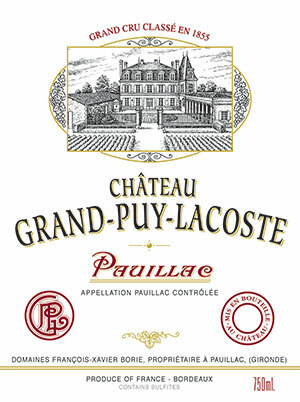 The 2000 Grand Puy Lacoste is even better than such recent vintages as 2005 and 2009. A broad, classic, large-scaled effort, it boasts a deep blue/purple color as well as tell-tale notes of creme de cassis, subtle smoke, flowers, and unsmoked tobacco. Powerful, full-bodied flavors have shed a lot of tannin, but they remain relatively youthful. This is a young adolescent, broadly flavored Pauillac with an enticing texture as well as abundant richness and fruit. It can be enjoyed now, but promises to hit its peak in five years, and last for two decades.